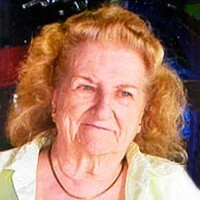 Otterness, Lucille M. "Lucy" age 87, of Eagan. Preceded in death by husband, Roger; sisters, Audrey and Harriet. Survived by sons, Gene and Steven; sister, Phyllis Bergstrom; brothers, Lionel Stowe, Sherman Stowe, Virgil (Judy) Stowe and Gary (Margaret) Stowe. Retired 30 year employee of School District 197. Memorial service Tuesday, Aug.15, 11:00 AM with visitation one hour prior to service at: Washburn-McReavy.com Werness Brothers 952-884-8145 2300 W. Old Shakopee Rd.